Resizing of Images: Lossy or Not? So let's say I have a 1200 x 1200 pixel image and I resize it to 2400 x 2400. If I undo the resize I expect that I could resize and undo the resize over and over with no loss of information right? But let's say I save the image and then reopen the image and resize it back to the 1200 x 1200 resolution. Would this then be lossy? And if so, wouldn't there be a way to make it not lossy if all the transformations are done within paint.net? Couldn't you effectively reverse the resize transformation regardless? Maybe it isn't lossy! Let me know how paint.net handles these sorts of things. I can't figure out why you are creating this problem for yourself. Why re-size and then un-size? Why not just maintain two images? Anyway saving as BMP, TIFF, and PNG can be lossless formats, but I can not see the logic in re-size and then un-sizing an image when you can have a collection of images at a variety of intermediate sizes. Saving an image and then coming back to it to do more work on it is the function of a lossless format. Once you actually alter the size of an image by adding or subtracting actual pixels is a guarantee for data loss. I understand that. You're not answering my question. Okay then, I will leave it here. I think I understand at this point, that the only way to resize an image in a lossless way is to save the original image and always resize from that. So it makes sense that paint.net would not hold onto every image like this. But yeah, I can just hold onto all the images I need. It depends on the resize method used. If you use the "Nearest Neighbor" method of resizing up and use it again to resize down, YES it is safe--you won't lose any information. 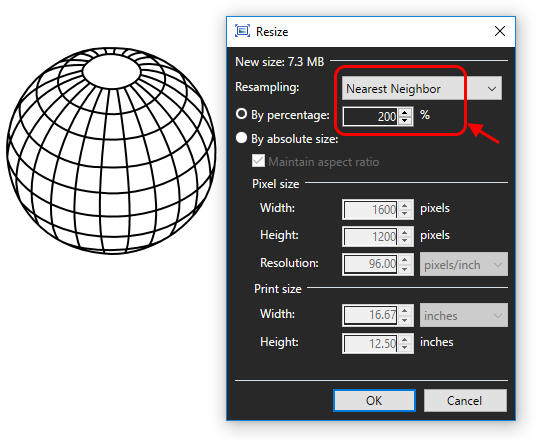 If you use the "Nearest Neighbor" method of resizing up and use it again to resize down, YES you won't lose any information. Ok cool. I will check that out. Open your image, and load your modified image in a separate layer... change that layer's blending mode to XOR. All changes will be highlighted in white. If the resulting image is solid black, there are no differences between the two layers (images). So that's what that is for. Neat. Thanks. I'm mostly going to compare the Best Quality option with the Nearest Neighbor option and see the trade offs. I resized it from 1024 x 781 to 2000 x (maintained ratio) using Nearest Neighbor, then I resized it back to the size using nearest neighbor. 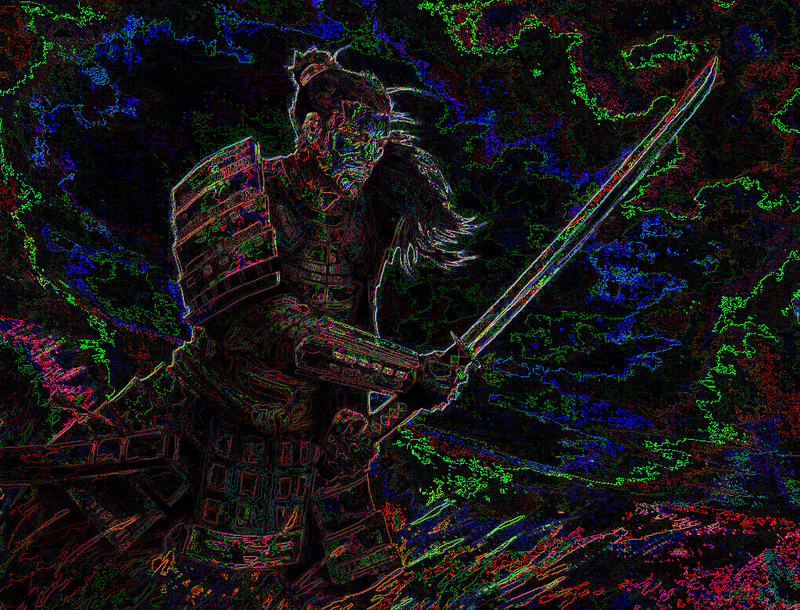 Then I pasted the original image in the top layer and gave it XOR blend mode and got this. When I doubled the size and then halved the size it did give me a black screen in the blend mode though. So I guess it only works with doubling and halving the size. XOR can be used for creating abstract art or glitch art. Actually, it works better with other binary modes if one were to create abstract art. Also, nice find, could be turned into a filter, but that's not necessary when there are other similar result filter. I guess it only works with doubling and halving the size. That was in your original requirement! It will probably never truly work since once you have saved the adjusted file; you have added or deleted pixel data that can't be faithfully recovered by sampling adjacent pixels. You would need a non-destructive process that stores an unaltered map of the original image that can be referenced for later iterations. That is what Adobe does in its Smart Object imaging process. Paint.NET can't do the Smart Object process, yet!